We’ve all heard the phrase “content is king” but this isn’t always true. First of all, the content has to be quality, well-written content and you also have to know what to do with the content to make it king. Years ago writing articles and submitting them to article directories and ezines was the best way to promote with content but things have changed. Today, with blogs being so popular and powerful, the best way to use content is to provide guest posts for bloggers. Below are ten tips to help you become a successful guest poster. 1. Quality Content – Be sure to write an effective guest post. The content has to benefit the visitors of the blog where you will be posted. Don’t try to pass off a badly written, self-promoting sales letter as quality content. All this will do is ruin your reputation. Write something to make people think or provide really helpful information. That type of content will really help the readers and give them a reason to check out you and your site/blog. So, you, the readers and the blog owner will all benefit. 2. Form Partnerships – Work with the blog owner. 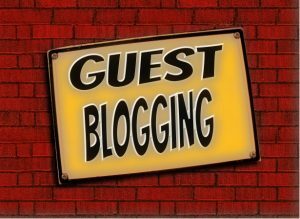 Let them know that if they use your guest post you will work very hard to promote your post so as to bring the blog more traffic helping you both. Take time to discuss with the blog owner what his readers are looking for and what interests them. 3. SEO- Take the time to do some search engine optimization on your post. Don’t just leave it to the blog owner. Optimize your post with relevant keywords in the title and body. If your post does well with Google you could continue to receive traffic, and sales for a long time to come. 4. Use Images – Enhance your post with images such as graphs, tables, or any image that will bring depth and more strength to your content. This will grab more attention from the reader thus increasing the chances for your post to be read and your links to be visited. 5. Original Content – Most blog owners will probably request original content that has not been submitted or published anywhere else on the net. Be sure to follow the owner’s guidelines. Don’t try to sneak in an article you have posted elsewhere because the owner will probably check. 6. Proper Format – Discuss with the blog owner which format they would like your post to be. Some blog owners will prefer the post to be written in specific font, size, etc. If you can provide the specifications they need, it will save them a lot of time and work. 7. Respond to Comments – Watch for comments on your post and when they do come in be sure to respond to them properly. Encourage interaction on your post to increase popularity and bring the blog owner more traffic which, in turn brings you more traffic. 8. Don’t Just Be a Poster – Be sure to read and research the blog for which you will be posting. Know what type of posts the owner looks for and what type get the most reaction from the readers. You want your post to get a lot of attention and interaction as well. Link to other posts in the blog that might be pertinent to your post. This will help with SEO as well as show the blog owner that you have taken the time to read his blog. 9. Look for Something Unique – When you take the time to read the blog you can find topics that might not yet have been tackled on that blog and you can offer a wider scope of information for the blog owner’s readers. This will show the blog owner that you can fill a void in his blog that has yet to be filled. 10. Show Some Personality – Don’t make your content just a bunch of facts and statistics. Put your thought into it and add depth and meaning. Use your experience and knowledge to add layers of interest. By adding a little of your personality to your content, you are providing something that no one else has on their blog. Becoming a successful guest blogger might take some time and work but it will be worth it for the blog owners and for you and your business. Blogs are the now of marketing and being able to get your content on a good number of quality blogs should increase your traffic and sales dramatically!